All the news. Mobile first. Fast. Curated. Personalized. Lots of links for more depth. That is the essence of Schibsted´s Omni Next platform. The main idea is to enable Schibsted to launch several niche brands based on the same platform and technology. But it is time to redefine the strategy. And the new senior product manager for the Omni Next team, Djeiran Amini Björklund, now has one big concern: How to make the platform future-proof. – We simply have to be more data-driven! That includes figuring out how we can get accurate data to tell us what we should improve and what we should stop doing, she says. Omni. The original app – and a popular news service in Sweden. Omni Ekonomi – Omni’s specialized app for business news. MinE24 – connected to Schibsted’s business news site E24 in Norway. fPlus – a business news app run by Svenskt Näringsliv. The brands and business models differ. Yet, all the apps are built on some common ideas. All focus on curating lots of content from many sources. The journalists write short summary articles and are generous in linking to external sources for more information. The users can also select which topics they are particularly interested in – and receive alerts when new stories are published. 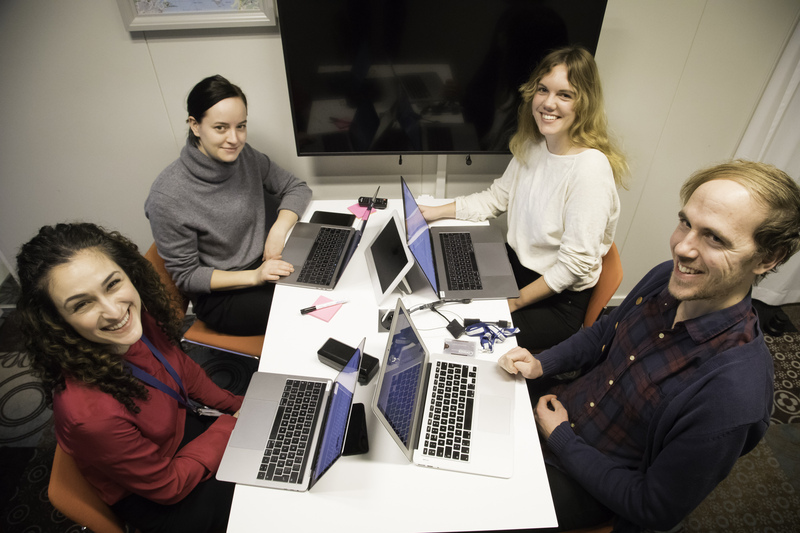 – The Omni team has been an innovation catalyst in Schibsted, says product lead Tobias Calminder in Next Media, a department in Schibsted focusing on creating new media products. – In many ways, you can say that Schibsted’s product and tech journey working together across brands started in this team. For instance, the content management system that is now used in all the newsrooms was first developed for Omni. Later the team has been a pioneer in developing new business models, according to Calminder. He points to fPlus as an example of an external partner using both technology and content from Schibsted. – You can call it publishing as a service, he says. Omni Next is a distributed development team. Seven people work out of the Stockholm office, focusing on product management, UX design, and research. 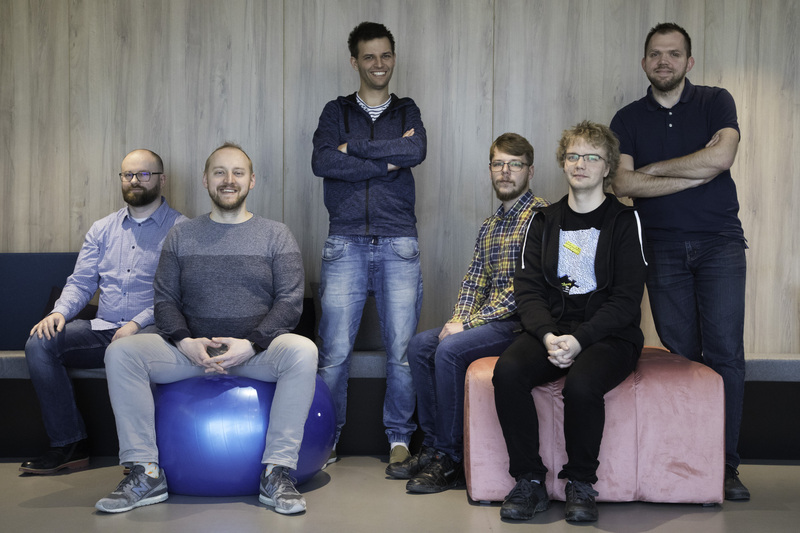 The team also includes two back-end developers. The main part of the software development is done at Schibsted Tech Polska’s office in Gdansk, Poland. Six people today work for Omni Next in Gdansk. The team consists of native mobile developers (iOS and Android) as well as back-end engineers. Some of the Stockholm members of the Omni Next team. 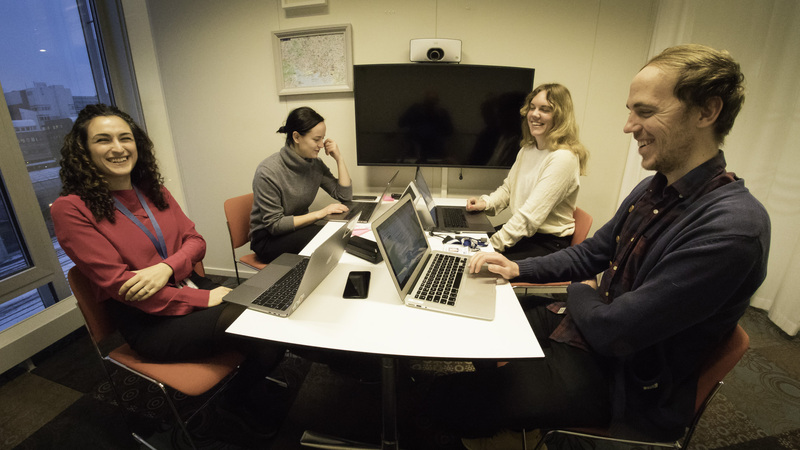 From left: product manager Djeiran Amini Björklund, associate product manager Jenny Åbonde, designer Hanna Röstberg, and UX researcher Niklas Fyrvald. Tech lead Damian Petla explains that the team works in two-week cycles. Each cycle starts with a joint planning session to decide the priorities for the next period. They meet weekly to check the progress – and also has an evaluation meeting (called retrospective) after the cycle has passed. The daily communication between Stockholm and Gdansk takes mostly place on Slack. The first app developed with the platform was Omni. With over 550.000 readers it is a very popular news app in Sweden. And the users of the app are exceptionally loyal, explains product manager Djeiran Amini Björklund. – They read on average 9-10 stories when they visit the app – and a large portion uses the app daily. A very different product is fPlus, run by Svenskt Näringsliv, the Confederation of Swedish Enterprises. Svenskt Näringsliv buys both the tech platform as well as curated content from Omni Ekonomi and Omni from Schibsted. fPlus targets Swedish companies and uses both technology and content from Schibsted. MinE24 was built as an extension to the E24.no web site, focusing on breaking business news. – At the core for all the apps is the focus on curating content, says Björklund. The tools in the platform make it easy for journalists to scan hundreds of sources for the most important sources. Instead of writing long articles, the journalists provide short summaries with links to the original sources. – The apps are all targeted at news consumers who are short on time. The platform is built for giving them a quick overview of the most important news and with different perspectives. – The platform is set up so that it is quite quick to launch a new brand, says engineering manager Michał Waśniewski. Because the different apps have much of the same functionalities new features can also be added easily. The team has built its own tool for automatic testing the software before a new version is released. The tool, called Grety, automatically takes over 2000 screenshots of the new version and compares with the old. If there are differences, the developers will verify if it is correct or a bug. The Gdansk team: Damian Petla, Michał Waśniewski, Jakub Janczak, Michał Kawałko, Patryk Iwaniuk and Maciej Madaj. The main focus this year is to set a new strategy for the team. The user experience has changed relatively little during the last few years, and the team wants to start with a clean slate. – Our focus during the last year was to solve problems. Now our biggest challenge is to define a new product strategy and then choose focus areas based on that, says product manager Djeiran Amini Björklund.